Many of you may not know that the fastest man in the world has scoliosis. That’s right. 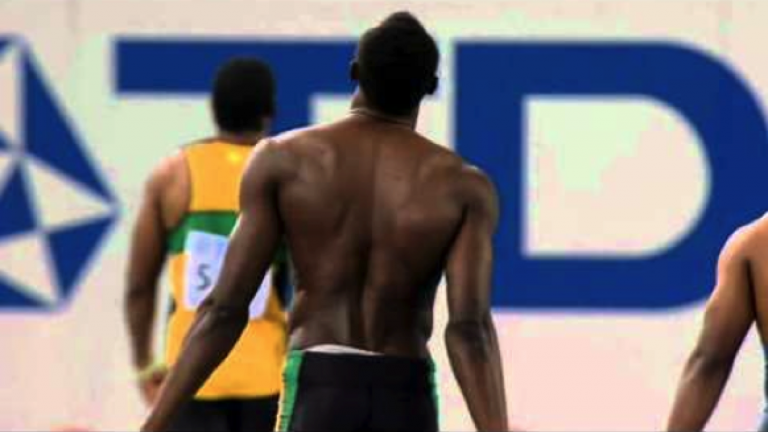 Usain Bolt, Olympic gold medalist, has scoliosis. Knowledge is power. With a strong lower back and emphasis on a strong core, Usain Bolt’s spiral spine doesn’t stop him from pursuing his dreams. Usain Bolt is the picture perfect example of being able to physically do anything you set your mind to, even when dealing with scoliosis. Do you know other athletes who have scoliosis? Leave your comments in the space below. Thanks spiral spine sight for enlightening me that usain bolt have scolosis…i always see him as my idol not only in matter of running but also as a fittest man in the world…i too suffer from bad posture or mild hunchback type….it feels great to know that any physical deformity doesn’t matter when you are a legend…i also wanna add that those bodybuilders or fitness model who boast showing their perfect back couldn’t compare a little inch of bolt’s success or fitness level….legends are made this way god gave him deformity but gave him a lightning speed too….at last i want to say usain bolt is a legend and if you have something special it doesn’t matter about your posture or deformities. …once again thank you spiral spine sight for inspiring people who are stopped by such diseases. Or deformities. ..
My son shows to have all the signs of scoliosis and he runs track. he has received an x-ray in which we will know next week. The condition is causing him to lose arm mobility midway through the event and he then regains it afterwards. Definitely will need to see how severe it is. There are many things you can proactively do for your son. Many. 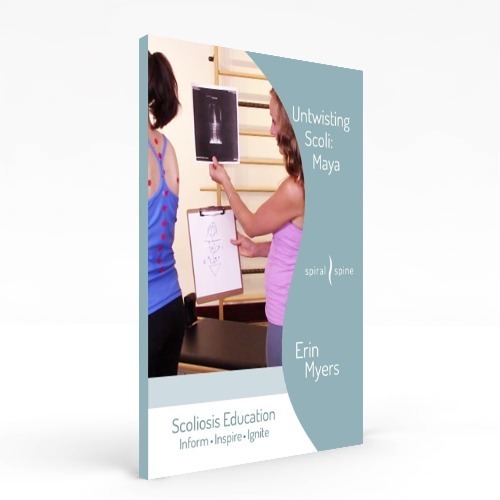 Please go to the scoliosis resources page of this site and you’ll be guided on what steps to take for your son. Pls my son of 15 and half yrs is suffering several idiopathic scoliosis condition which is more than 73 degrees. I would like to know if any form of exercise for scoliosis patients could help to strengthen his back and live a normal life without going through spine fusing surgery . I’d suggest booking a private virtual lesson with me so we can chat about a game plan for your son. Through the contact page of spiralspine.com you can email my studio manager and she can get you set up. Spiralspine.com is going through many changes right now, and in about a week you’ll be able to go to the Scoliosis Resources page and find out what videos to watch, blogs to read, and more. Check the page in about a week and you’ll find tons of proactive information. I hope to have a virtual lesson with you soon. I am a runner with scoliosis, I have a 32 degree curve in my lower back and a 25 degree curve in the mid upper part of my back. It definitely bothers me and sometimes I thought of quitting running but doing a lot of stretching and working on making my back stronger has helped. I am a competitive swimmer and my goal is to make the Olympics. Then I was diagnosed with scoliosis and it got so bad that I had to have the surgery for it and now I have rods in my back keeping my back straight. Making the Olympics is still my goal, it’s still my dream. I am the patient of scoliosis. Having 44 degree nd 54 degree angle of s shape.i know how difficult it is.in day to day life n number of problems I have facing.i also have the balancing problem while standing.so it is really a big thing nd motivation also that usain bolt won not only the n number of medals but he also he is the fastest person on the earth with the major physical issues.so salute to usain. He really works hard so this is why he is a champion. Go Usain Bolt go. It looks like a little scoliosis may be 15 ° so quite nothing , not comparable to a real impact scoliosis starting bad effects from 25° to more. I don’t like that kind of article because make believe that a scoliosis is not a problem, bolt scoliosis must be called “minor scoliosis” and much more minor that he have intensive exercices with a daily coach. Even “minor” scoliosis can drastically affect someone, especially when they are one of the world’s best athletes. When your body has to work perfectly, which his has to in order to perform at the level it does, the most minor misalignment can totally throw the body off. I’ve seen many clients with “minor” scoli that complain of severe pain due to the misalignment in the body. He has done an amazing job and so have his coaches at not letting scoli slow him down. Although his scoliosis may not be severe, it still greatly affects him in his running which makes his accomplishments all that more impressive. Even though he is the greatest sprinter to ever live, his scoliosis causes him to have the worst form of any sprinter at or near his level. The Proper sprinting form requires your upper body to be completely upright with no movement, but because of his scoliosis, this is not possible causing him to have a lot of movement in his upper body slowing him down and using more energy than necessary. Also, out of the blocks you are supposed to shoot out straight and he can’t causing him to run more side to side. This is also a reason why he isn’t the same caliber 400m sprinter as he is in the 100m and 200m. Although his height and build are perfect for the 400m, his form uses too much energy for him to keep strong throughout the entire race. That was an absolutely awesome blurb, Adam. Thanks for your insight. Dear Ed, I’m a dancer and I have scoliosis, which is qualified for surgery. (38* and 35*). But because of my back and core muscles it doesn’t seem big. I mean, it’s hard to see if I do really have back problems. So please, have some respect to Usain Bolt, who – because of his hard work – is a champion. If you can’t see his scoliosis it doesn’t mean he doesn’t have it.